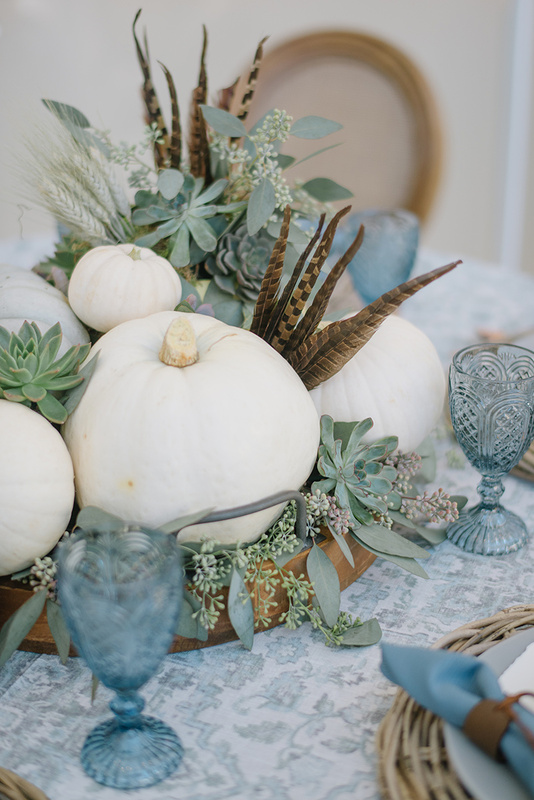 We’re busy finishing last minute preparations for Thanksgiving and cannot wait for a day filled with family, good food, a beautifully designed table, and giving thanks. 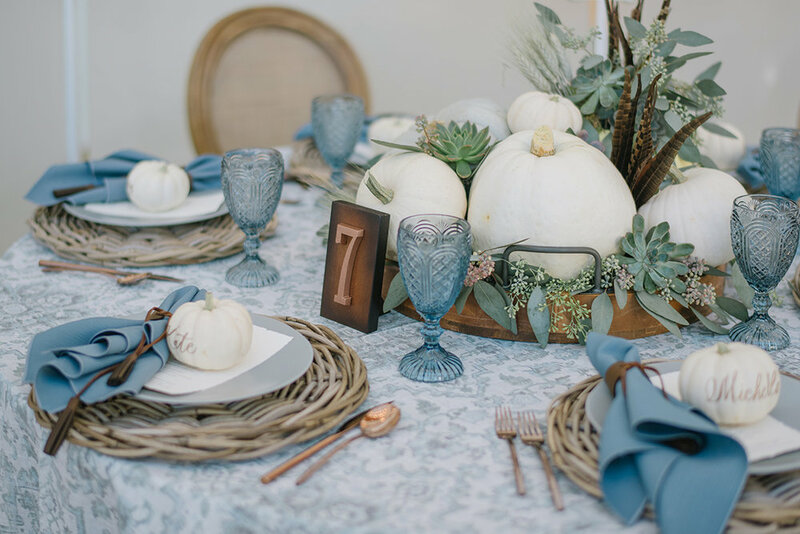 We absolutely love this harvest inspired table, featuring a centerpiece filled with pumpkins of a variety of shapes, sizes and colors, succulents, a few feathers, and fresh greenery. 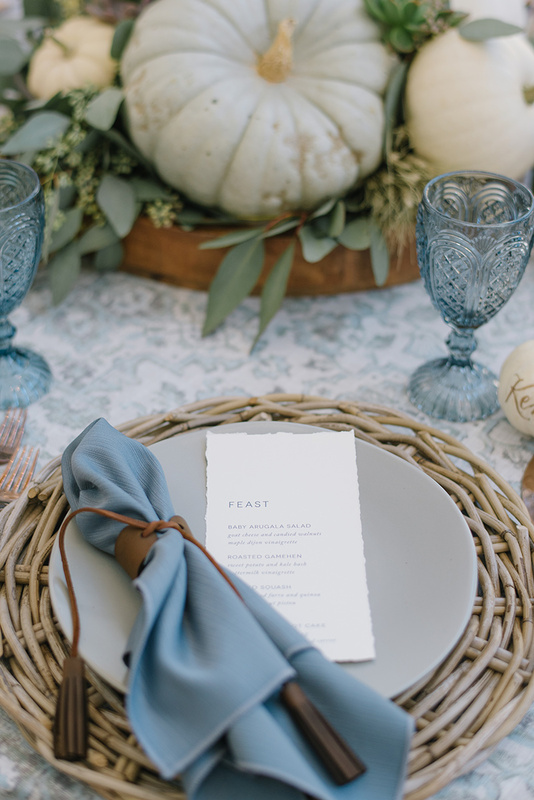 The blue-hued patterned and textured linen created the perfect foundation for a beautifully unexpected color palette. 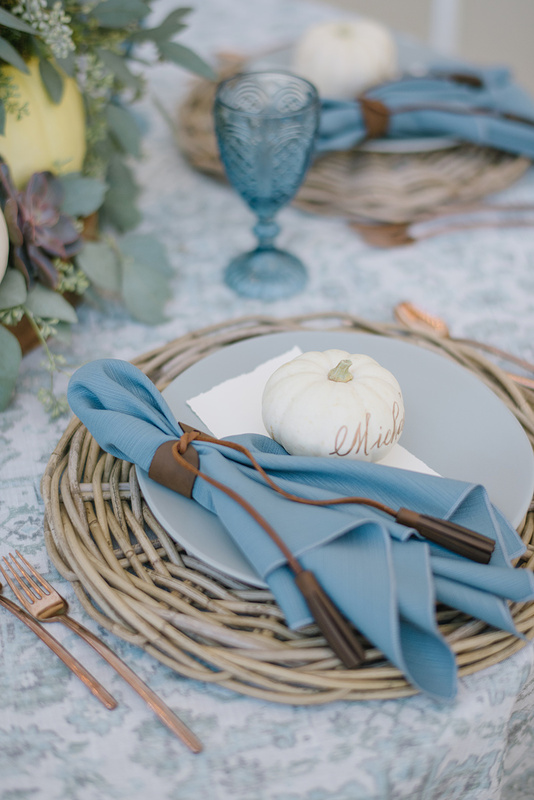 We finished the look with blue water glasses, ceramic dinner plates, wicker chargers, cane back chairs, dusty blue napkins tied with a leather cord complete with tassels, and rose gold flatware. 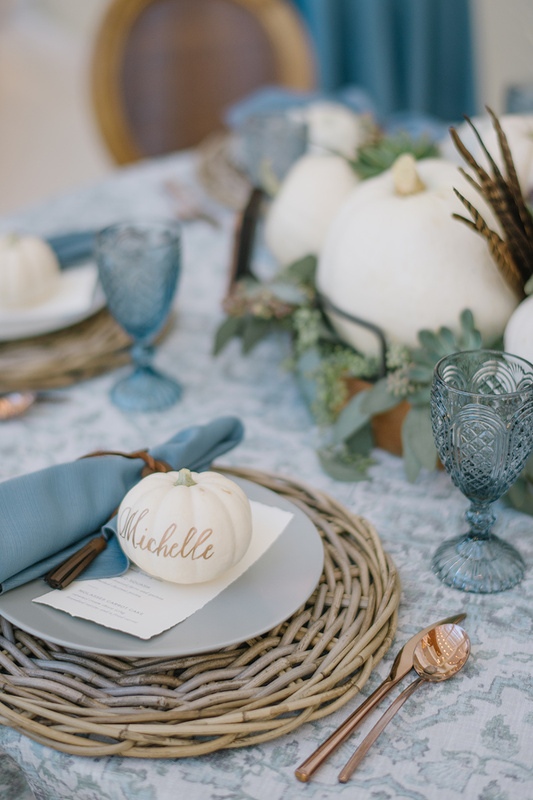 This year, we feel especially grateful for all of our amazing clients and talented industry friends and we’re just giddy with excitement that engagement season is officially here! Happy Thanksgiving from team MLE! 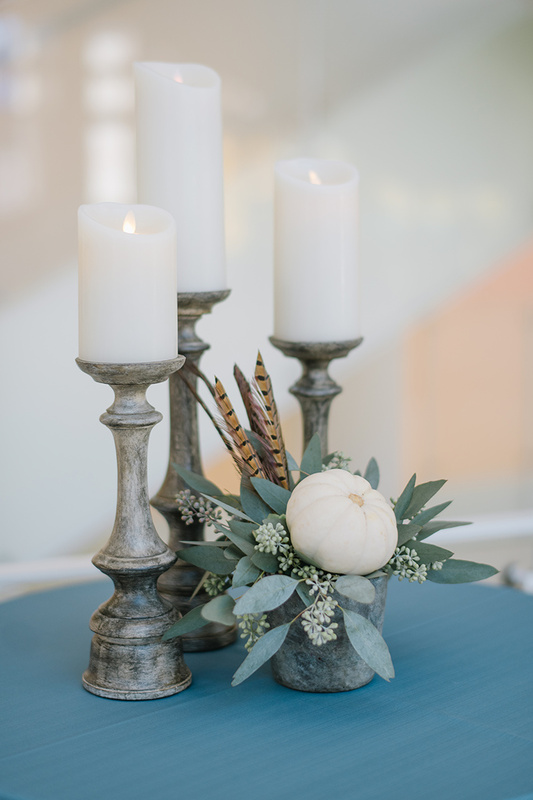 And for all of you newly engaged couples, be sure to contact us HERE to get started planning your big day!